F1-E – model boats with electro motor, without weight limit, battery Voltage limited to 43V with a max weight for the battery of 1400gr in Lipo. 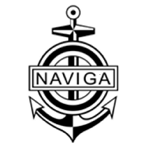 The goal is to go around the Naviga triangle in 2 directions (hairpin turn on the bottom straight) against the clock. F3-E – model boats with electro motor, battery Voltage limited to 43V and a max battery weight of 1400gr in Lipo. The goal is to go around a triangular (Naviga triangle based) track in a particular order against the clock. Points are deducted for every missed or touched buoy. ECO Expert – model boats with electro motor (no limit), min. model weight 1kg, max battery weight 280 gr. 6 competitors or teams race in group for 6 minutes (respectively 18 min for teams) around the Naviga triangle, counter clockwise. It is allowed to turn back for a missed buoy. 6 competitors race in group for 6 minutes around the Naviga oval, clockwise. Turning back for missed buoys is not allowed, penalties are given for every missed buoy. max 8 competitors race in group around a modified Naviga oval (M- course) counter clockwise. Turning back for missed buoys is allowed.